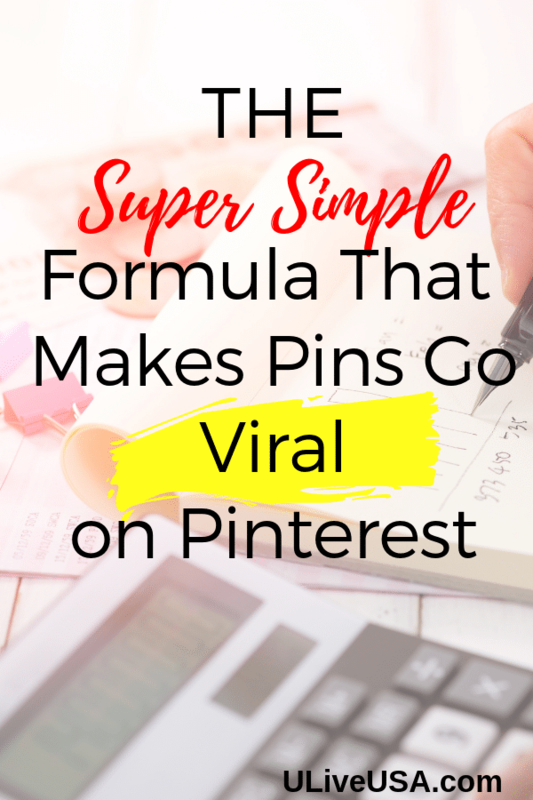 If you are planning to get more traffic on your Pinterest profile, then you have to work to make your pins go viral. A lot of people on Pinterest are trying to make their pins viral are not successful. If you are one of them too, then do not worry, because we have aa supe simple formula that can help you to make your pins pick up steam and go viral. The best way to make your pins go viral on Pinterest is to follow proven techniques to make your Pinterest pins famous. I’m going to share 4 simple steps you can take to transform underperforming pins into viral monsters. 1) Create quality content that supports the pin. The better the content, the more re-pins. 2) Join group Boards in your niche to dramatically expand reach. 3) Catchy pin designs optimized for Pinterest users. 4) Timing the posting of your pin during the most active times of the day. 1) Quality content that backs up the pin. The better the content, the more re-pins. First and foremost, you have to plan better-quality content if you want to get more shares or repins on Pinterest. You have to make your content pin-able and worthy for viewers to pass it on to their own followers or group boards. It is because the better the content you are going to share the more chances of getting your content viral will be there. Your pin must be able to communicate to people why they should read and re-pin it. For this, you have to create quality content, which can help the people to get information about any topic or something unique and stir up their interest on what you are sharing. This can help you to make your pin viral. 2) Joining Group Boards in your niche to expand the reach. One of the best thing that you can do to make your pin viral on Pinterest is, join different group boards which are related to your niche and share your pins there to get more reach on them. By sharing your pin in the group, boards can help more people to reach and repin your post. And ultimately you will get more reach on with pins. Thevpin design is, of course, the most important aspect of making aapin go viral. Think about the pinnable images as a cover of a tiny magazine. And think about the fact that with the image you are going to pin, you just have one shot to grab the attention of any user. So, it is always better to think about how you can design a pin in the best possible way and add a catchy headline which can compel a visitor to read your pin and repin that. 4) The posting of your pin during the most active times of the day. When you are going to pin an image, you surely want to show it to the world. So, you just have to plan the best timing for posting your pin. Try to post a pin on a time when most of your followers are active on Pinterest. This is because the perfect timing of posting is undoubtedly going to get more explore on your pins. Once you are able to make your one pin go viral, you will surely get a significant amount of reach on your pins, and then this can be the best source to get more audience on your blog to generate traffic with ease.